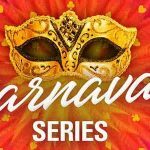 The next couple of weeks are going to provide a full schedule of action for online tournament players, with three major poker series starting on Sunday. 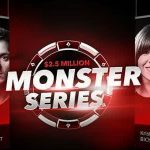 With PokerStars´ World Championships of Online Poker (WCOOP) and Merge Network´s Poker Maximus VI both starting this coming Sunday, one might be forgiven for overlooking a third poker series about to take place over the next couple of weeks – Full Tilt Poker´s MiniFTOPS XXIII. The “Mini” Full Tilt Online Poker Series follows exactly the same schedule as the “regular” FTOPS series which was played last month – only with buy-ins to the thirty-nine events costing one tenth of the regular schedule buy-ins. Despite the tournaments in the MiniFTOPS XXIII schedule having micro and midstakes buy-ins, there will still be plenty of money to be won. The total value of guaranteed prize money is in excess of $3 million, with the highlight of the series being the $750,000 guaranteed Main Event which will be played on Sunday 22nd September. 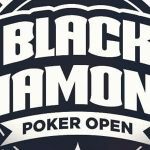 Furthermore, players will be asked to display a comprehensive range of poker skills due to the choice of tournaments available. 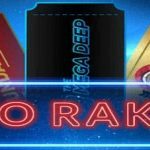 Rather than relying on a succession of NL Hold´em tournaments, MiniFTOPS XXIII will include events in Omaha, Stud, Razz, Courchevel and “Irish” – a variant of NL Hold´em in which players start with four hole cards and then discard two after the Flop. Like all previous FTOPS and MiniFTOPS series, players who reach the final table of any of the tournaments in the series will be awarded a limited edition MiniFTOPS jacket, with the winners also receiving a silver MiniFTOPS shirt and an exclusive avatar to show off at the tables. A special leaderboard competition will be run throughout the series which will award free entry to all the tournaments in FTOPS XXIV (except the two-day event – dates still to be announced, but probably around November) – a prize package worth $12,000 and potentially much more! 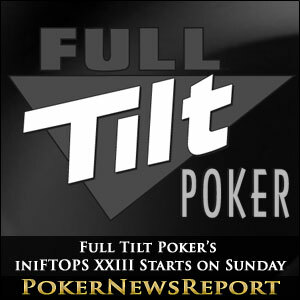 Satellites – starting from $0.11 – are running now on Full Tilt Poker for all the events listed below. Please note that all times are listed as Eastern Time (GMT -4 hours), but many of the events have late registrations and re-entry periods – some up to three hours after the start of the tournament. Buy-ins include tournament entry fee.